The watershed is instrumented with meteorological stations and stream gaging stations for ongoing investigations into geochemistry, groundwater recharge, infiltration, basin precipitation processing, soil water distribution, streamflow generation, and runoff over multiple scales. The Dry Creek Experimental Watershed (DCEW) was established in 1999 to investigate hydrologic processes in the semi-arid southwestern region of Idaho, USA, and is approximately 16 km northeast of the city of Boise, Idaho. The surrounding area is defined as the Boise Front which includes mountainous and foothills topography. The experimental watershed is delineated as the 28 km2 northeastward trending Dry Creek drainage from the 1,000 m elevation at the junction of Dry Creek with Bogus Basin Road to the headwaters of Dry Creek near Bogus Basin. The headwaters of Dry Creek are located at an elevation of 2,100 m in the granitic region of the Boise Front. The perennial creek flows south to southwest from its origin to its confluence with the Boise River west of the city of Boise, Idaho. 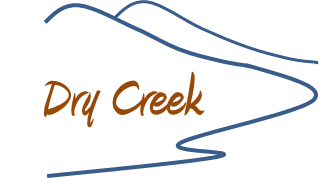 The upper 11 km of Dry Creek are within the DCEW. Shingle creek is the only perennial tributary while numerous unnamed intermittent tributaries flow into Dry Creek within and beyond the DCEW boundary. DCEW regional climate results from the opposing Aleutian Low and Pacific High weather systems.The Aleutian Low controls winter weather and delivers cool, moist air from the west and northwest. Winters in this region are moderately-cold to cold and produce abundant precipitation in the form of snow in the highlands and rain in the lowlands. The spring season begins with cool rainy months followed by drier warming trends approaching the summer months. The Pacific High system dominates the summer period and brings dry air from the Pacific Ocean to the Boise Front. Summers are typically hot and dry with occasional thunderstorm events. Following summer, the autumn season is typified by clear and warm months initially but changes to cold and moist months immediately prior to early winter. Spring Snowmelt at Treeline, DCEW. Precipitation is greatest December through February. The average monthly temperatures are greatest in July and lowest in January. Evapotranspiration exceeds precipitation most of the year. The DCEW is located over the Atlanta Lobe of the Cretaceous aged Idaho Batholith. The Idaho Batholith is a granitic intrusion and is associated with the Mesozoic subduction zone along the western margin of North America. The Atlanta Lobe is 75 to 85 million years old and is approximately 275 km long and 130 km wide (Johnson, Lewis, Bennett, and Kiilsgaard, 1988). The dominant rock unit in the DCEW is biotite granodiorite (Lewis, Kiilsgaard, Bennett, and Hall, 1987). The biotite granodiorite consists of medium- to coarse-grained rocks, is light gray in color, and is composed of plagioclase, quartz, potassium feldspar, and 2 to 8% biotite (Johnson et al., 1988). The landscape in the area is typified by moderately steep slopes, and strongly dissected by streams. The local soils are derived from weathering of the Idaho Batholith and are divided into three general soil taxonomies – Argixerolls, Haploxerolls, and Haplocambids (USDA, 1997). The soils range from loam to sandy loam in texture and have high surface erosion potential. The Natural Resource Conservation’s soil survey of the Boise Front (USDA, 1997) provides a more detailed description of the soils underlying the Boise Front region. Vegetation along the Boise Front varies with elevation, geology, microclimate, soil type, and topography. At lower elevations, grass and shrublands, ponderosa pine (Pinus ponderosa), and Douglas-fir (Pseudotsuga Menziesii) occupy south and west aspects and Douglas-fir forests dominate north and east aspects. Upper elevations are dominated by ponderosa pine and Douglas-fir forest communities with patches of lodgepole pine (Pinus contorta) and aspen (Populus tremuloides). Middle elevations range from grass and shrublands to open forest communities of ponderosa pine and Douglas-fir and function as an ecotone between the sagebrush (Artemisia spp.) and grass dominated lowlands and more densely forested uplands. Land ownership in the DCEW is divided among multiple governmental entities (Boise National Forest – 42%, State of Idaho – 3%, and Bureau of Land Management – 1%) and private parties (54%). Land use in the basin includes timber harvest, cattle and sheep grazing, and recreation activities (downhill and cross country skiing, hunting and fishing, hiking, mountain biking, motorcycling, snowmobiling, ATV riding, and natural and cultural study). The DCEW is instrumented with seven stream gauging stations and five meteorological stations which are located at varying site elevations: Lower Weather (1,100 m), Treeline (1610 m), Shingle Creek Ridge (1720 m), Lower Deer Point (1850 m), and Bogus Ridge (xxxx m). Both Lower Weather and Treeline have periods of record from 1998-present. An additional meteorological station is located just north of the DCEW boundary within the Bogus Basin ski resort, the Bogus Basin Snotel Site, monitored by ARS. The Bogus Basin site is located at an elevation of 1,930 m and has an average annual precipitation of 1000 mm (1999 – present); the average annual precipitation at Lower Weather measures 300 mm . Johnson, K.M., Lewis, R.S., Bennett, E.H., and Kiilsgaard, T.H. 1988. Cretaceous and Tertiary intrusive rocks of south-central Idaho. In: Link, P.K. and Hackett, W.R. (editors), Guidebook to the Geology of Central and Southern Idaho. Idaho Geologic Survey, Bulletin 27, pp. 55-86. Lewis, R.S., Kiilsgaard, T.H., Bennett, E.H., and Hall, W.H. 1987. Lithologic and chemical characteristics of the central and southeastern part of the southern lobe of the Idaho Batholith. In: Vallier, T.L. and Brooks, H.C. (editors), Geology of the Blue Mountains region of Oregon, Idaho, and Washington – the Idaho Batholith and its border zone: U.S. Geologic Survey, Professional Paper 1436, pp. 171-196. USDA. 1997. Soil survey of the Boise Front: Interim and supplemental report, Natural Resource Conservation Service, Boise, Idaho. Williams, C.J. 2005. Characterization of the spatial and temporal controls on soil moisture and streamflow generation in a semi-arid headwater catchment. Masters Thesis, Boise StateUniversity, Boise, Idaho, United States.